Rochester Business Journal Leading source of business news and information in Rochester, N.Y.
Frontier Corp. has signed a contract with Nynex Corp. to resell local phone service in Nynex’s seven-state territory, the company announced today. The agreement is Frontier’s first business line resale deal with a regional Bell operating company. Subscribers to The Rochester Business Journal can access the digital edition archive. Renee LaPoint, president and mediator, the Mediation Center Inc.
For past episodes, see the podcast archive. 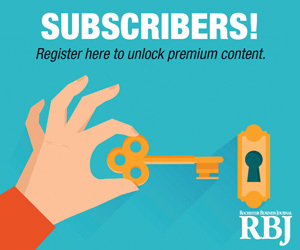 Latest special: 2019 RBJ 75 or view the special publication archive. Sign Up for Rochester Business Journal's e-mail alerts. Bring the day’s business headlines directly to your desktop or mobile device free of charge.